Easter breakfast does not have to be difficult! These adorable Cinnabunnies are just what you need for a fun-filled morning hunting eggs! 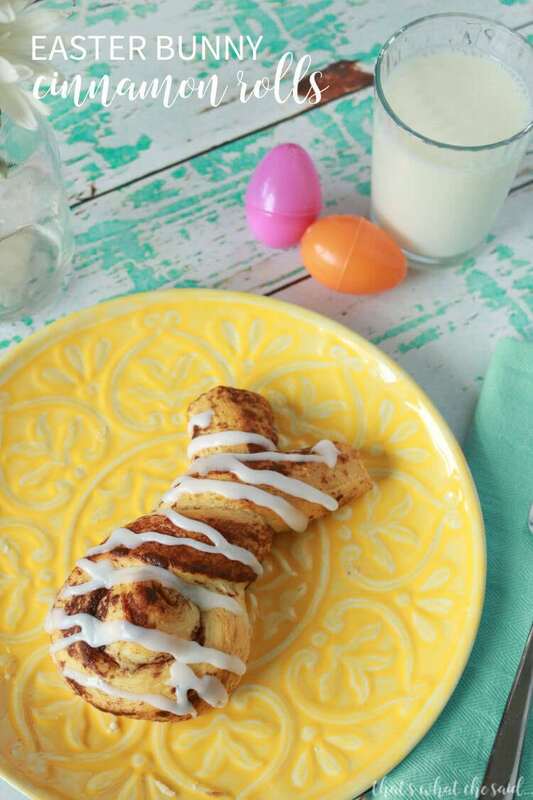 Easter Bunny Cinnamon Rolls only take a few minutes extra than regular and are oh so cute! Get help from a store-bought dough. Easter morning is always so hectic at my house. There are baskets filled with SUGAR! There are eggs everywhere. There is the magic of the Bunny having been the night before. So much excitement. 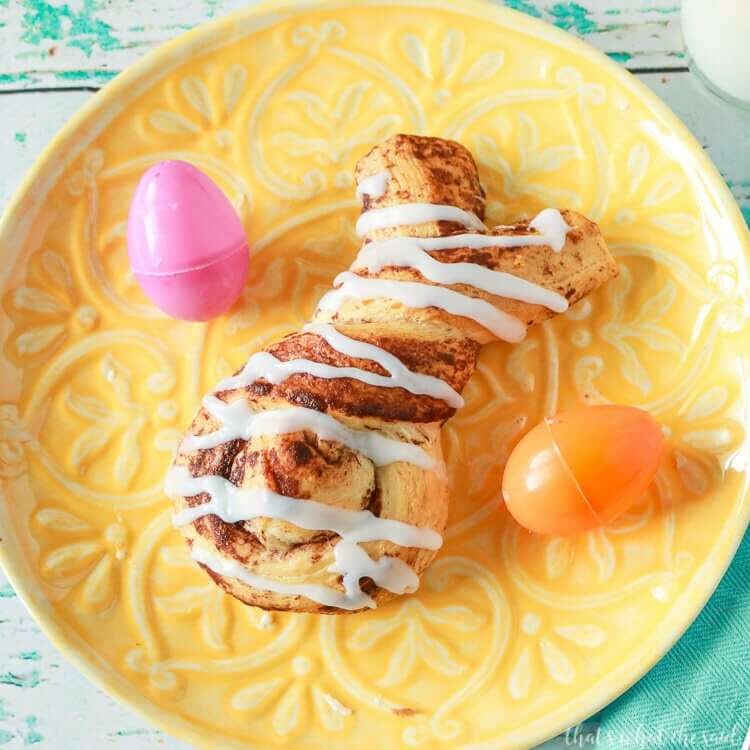 These super easy Easter Bunny Cinnamon Rolls are just what we need for a fun, yet simple Easter Breakfast. I use store bought Cinnamon Rolls to make these so seriously the work is minimal. They taste great, you can use your favorite brand. Get the kids involved too, they have fun making their own bunny! These are very simple. Open the roll of dough, Separate the cinnamon rolls. Cut off a 2-inch end of the roll. Twist the remaining dough into the shape of a bunny. Roll the 2-inch piece into a ball and place inside the bunny roll. Bake, Ice and Enjoy! I told you they were really easy! You can find more awesome videos and recipes and crafts from my friends over on my Facebook Page! Let’s be friends! Here are some fun ways to ice the Easter Bunny Cinnamon Rolls. Pour the icing into a shallow dish and dip the bunnies in like a glazed donut! It never fails the ears get eaten first just like with a big chocolate bunny! 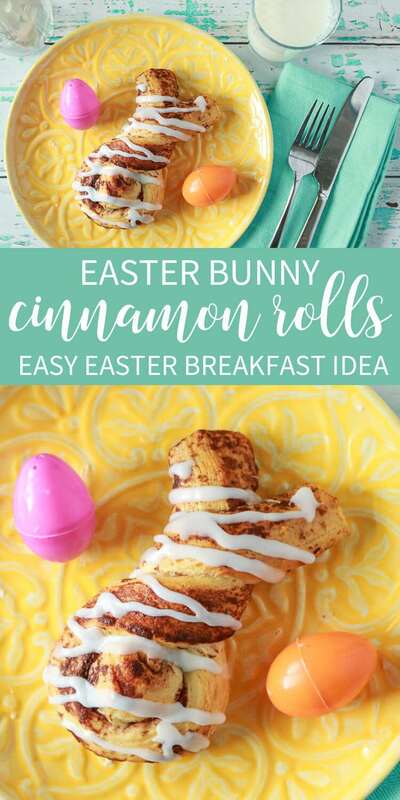 A cute and easy Easter morning breakfast idea! Sweet and bunny shaped cinnamon rolls! Open Roll of dough and separate out the individual cinnamon rolls. Cut 2 inches of dough off the end of the dough strip. Set aside. Twist remaining dough strip into the shape of a Bunny. Roll 2 inch section into a ball and place on the body of the dough bunny. Ice Cinnamon Rolls and enjoy! 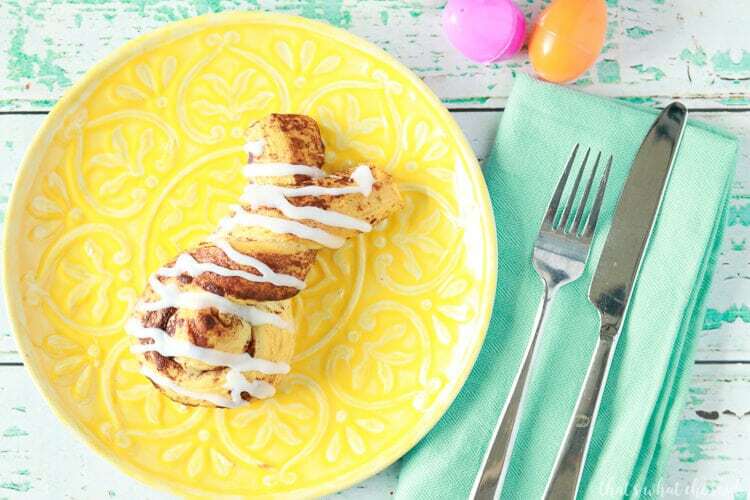 IF YOU LIKE THESE EASTER BUNNY CINNAMON ROLLS, PIN THEM!